It had to happen. Yes, more stuff boxes have come to light. 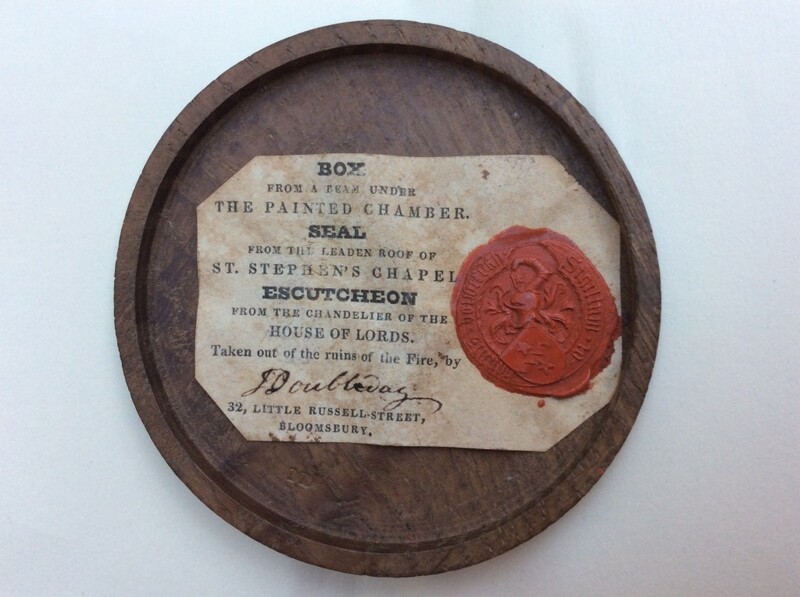 Regular readers of this blog will know that I have a growing collection of memorabilia relating to the old Palace, specifically items made from the salvaged wood and metal extracted from the smoking ruins in 1834. And I’m always on the lookout for items other people have collected too. 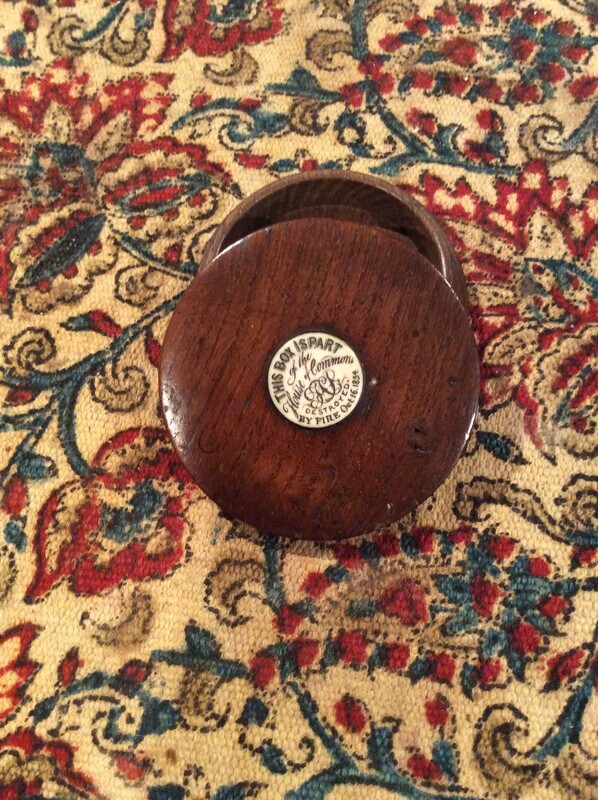 Today I met with James Gray MP, author of Who takes Britain to War?, who has just acquired a snuff box of his own. This one is, once again, carved from the wood of the Painted Chamber. Plain on the outside, the delight of this one is the vendor’s label inside. Manufactured and sold by John Doubleday of Little Russell Street, it includes a red wax seal with the words ‘Sigillum Johannis Doubleday’ (Seal of John Doubleday) in a faux-medieval touch. Doubleday, you will recall, was also the manufacturer of the souvenir lead watchfob cast into the shape of the seal -allegedly – of the college of St Stephen’s. I would be surprised if he wasn’t making a rather nice living from the fire’s aftermath, and tapping into some fairly crude Walter Scott fandom at the same time. As for my own collection, above is a recent birthday present, carved from wood of the old chapel, aka the House of Commons, with a nicely hand-inked ivory label. Certainly worth a sniff of anyone’s money. Anyone have any more out there?